Hello lovelies! 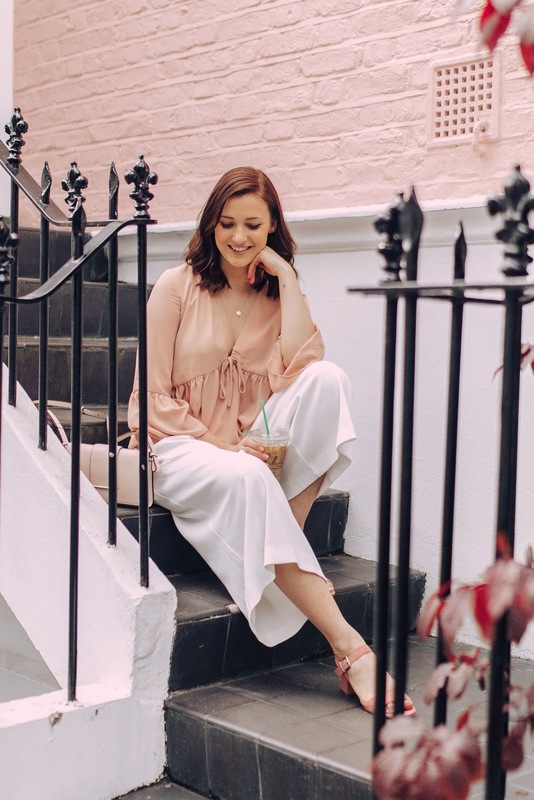 Today I wanted to put together a little Spring Lookbook, sharing some of my favourite outfits that I have been wearing this Spring and will continue to wear into Summer. Luckily the UK has warmed up quickly over the past few weeks meaning dress weather is in full swing and the fur coats have officially been packed away. 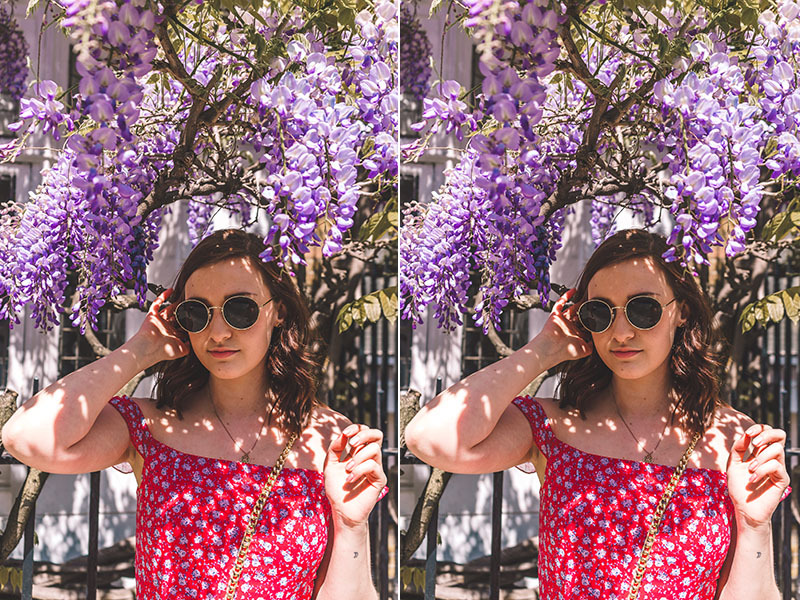 Both of the dresses I am wearing in this post are from Shop Tobi, who have some gorgeous dresses in at the moment so definitely have a browse on their website if you are on the look for some gorgeous summery dresses. I am in love with this dress. 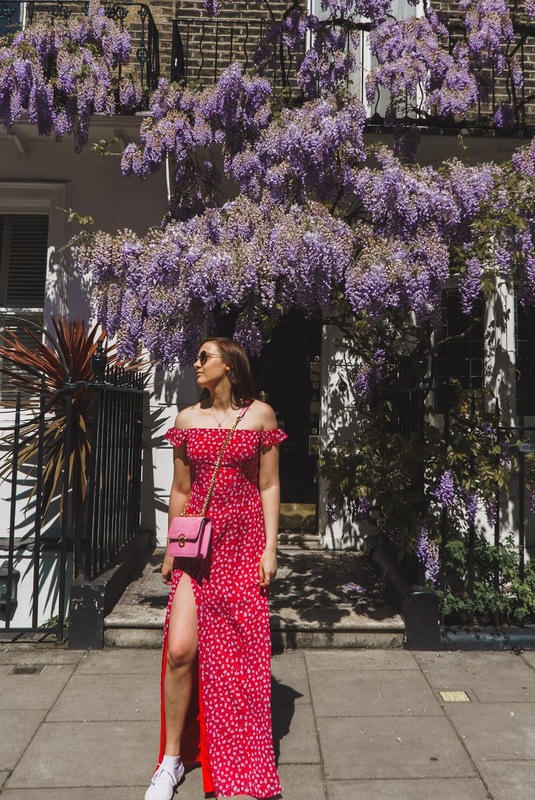 It is such a beautiful vibrant red, the shape is so flattering and it is such a great statement piece to have in your wardrobe. 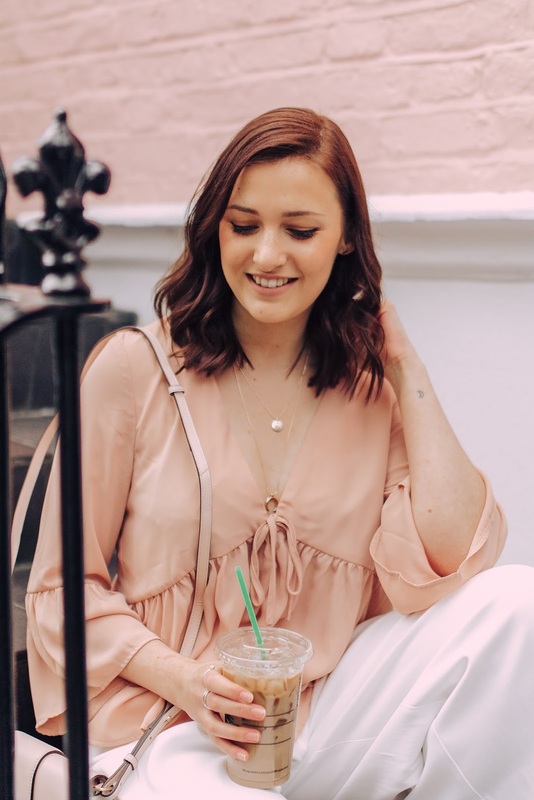 I wore this on one of the hottest days in the UK so far and felt amazing in it. Wearing an outfit that makes you feel confident and happy is so important to me and that is what this dress does. 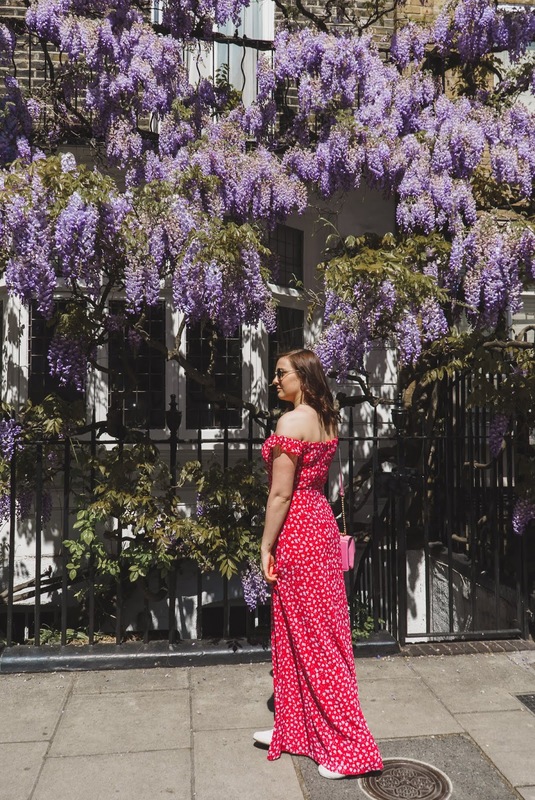 I think this dress is extremely versatile, it was perfect for a sunny day in London teamed with a pair of white trainers but I am also planning to wear it with some heels to a wedding in the Summer. I wanted to quickly mention how gorgeous this location is. Situated in Marylebone, this house covered in wisteria and is simply stunning. 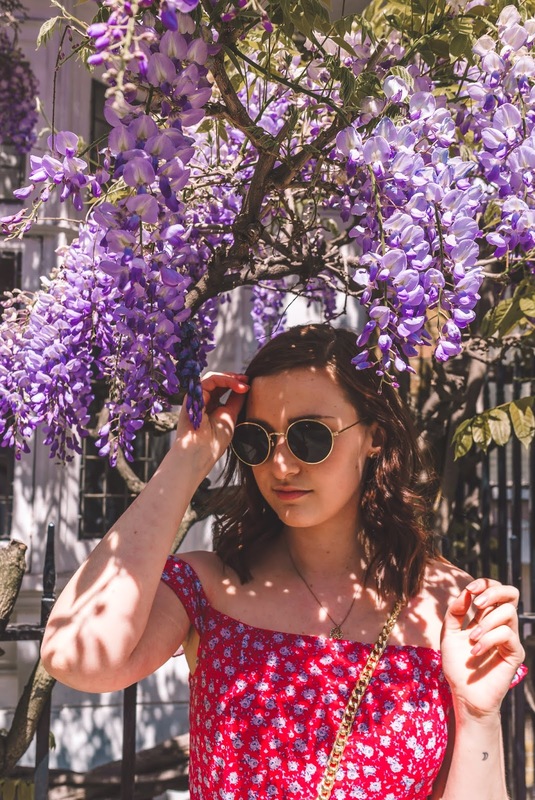 It is definitely worth a visit - but go quick before the Wisteria disappears! 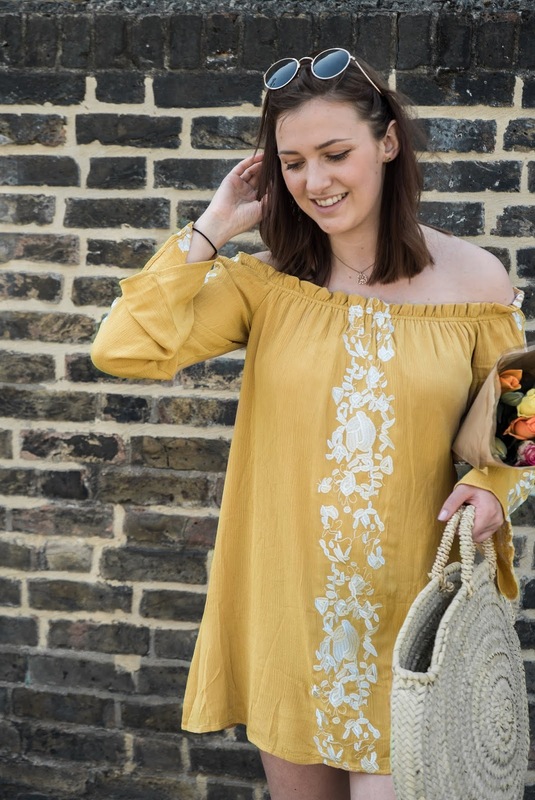 This dress is the perfect 'OMG it's so hot outfit today' quickly throw on a dress and run to the park with some drinks and ice lollies kinda dress, you know? It is also in the colour of the season, which I am so into right now. 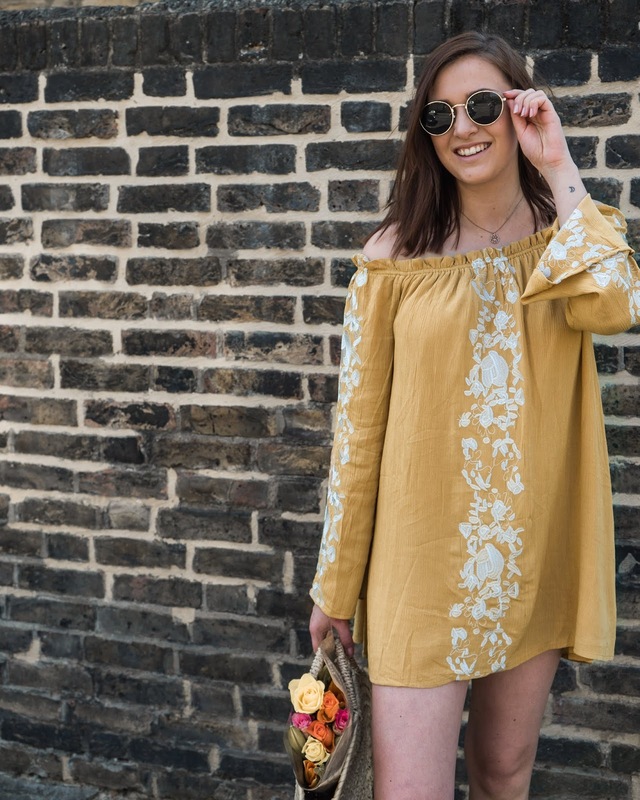 It is definitely a dress I will get a lot of wear out this summer. I teamed it with the most amazing basket bag from Bohemia Design, which fits all my 'day at the park' essentials. 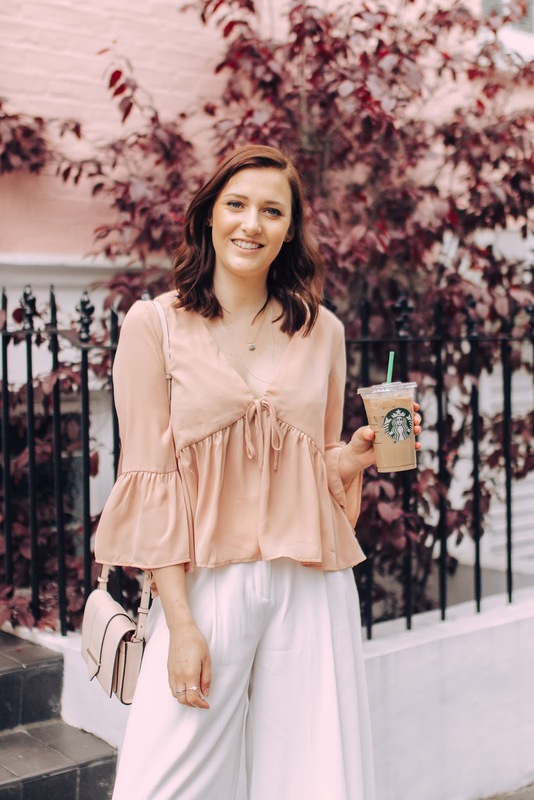 For those days where you are just not quite feeling a dress, wear a cute top and light trouser combo - Starbucks iced coffee's are optional haha. 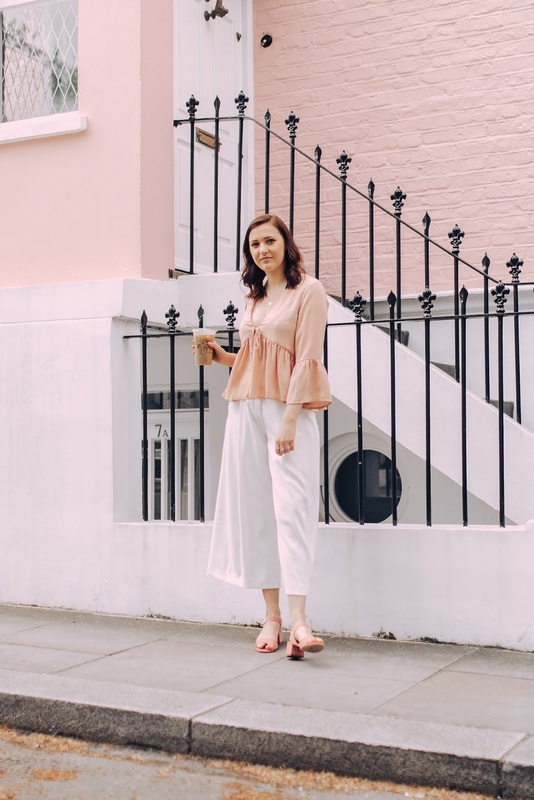 Now I rarely wear any other trousers other than jeans but I have really taken to these pair of trousers. They are perfect for this time of year, super light weight and such a versatile piece to have in your wardrobe. 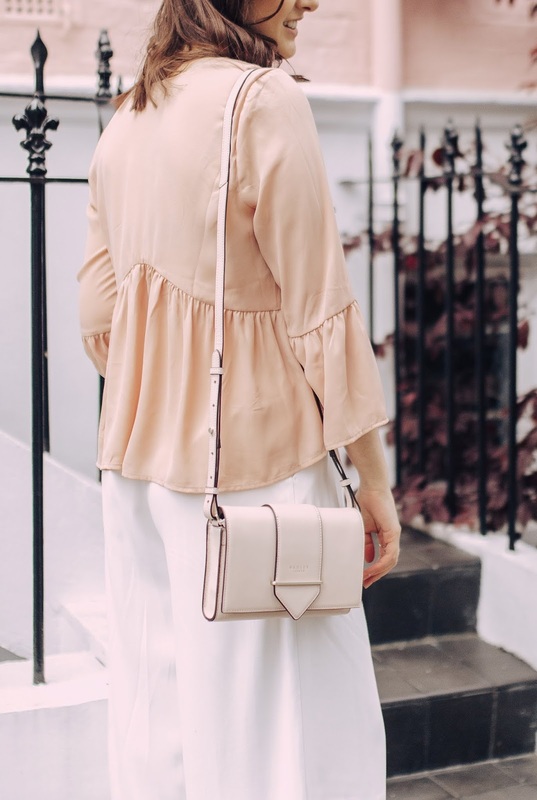 Paired with this blush pink top, some matching sandals and my beautiful new bag from Radley, I love everything about this outfit. 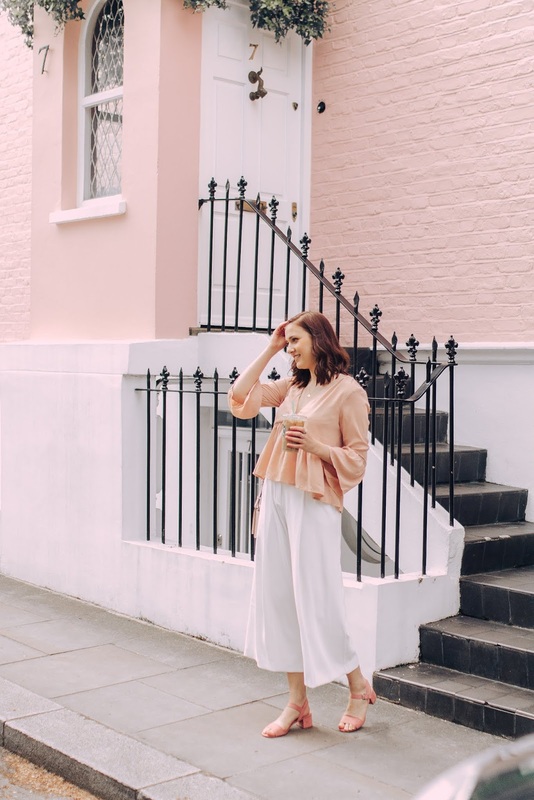 A bonus that I am matching with the cutest house ever in Notting Hill. 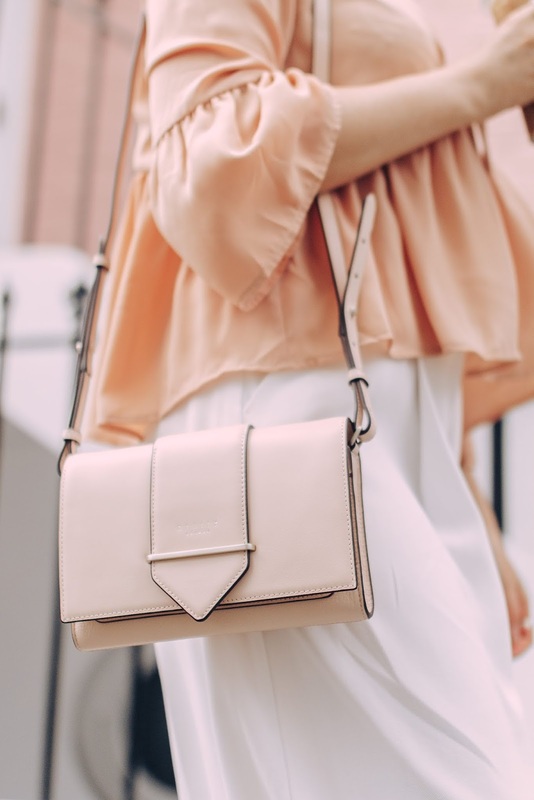 I am totally in love with this bag from Radley. It is so beautiful and such a classic style. You can shop it here! 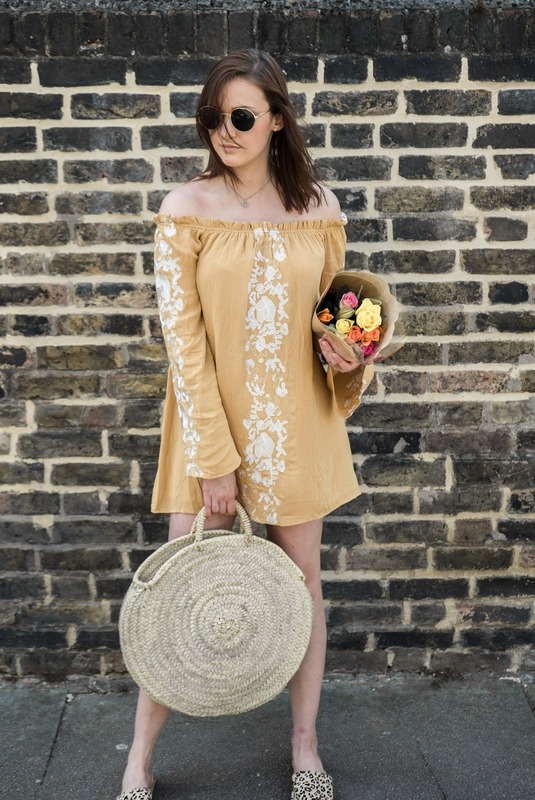 I hope you guys liked my spring lookbook! Let me know what outfit is your favourite? 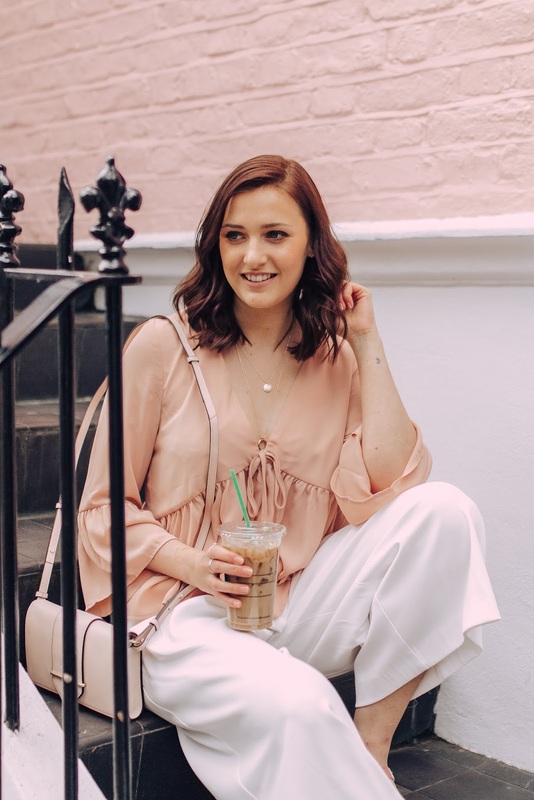 I love the looks of all three three of the outfits you styled in this lookbook post! 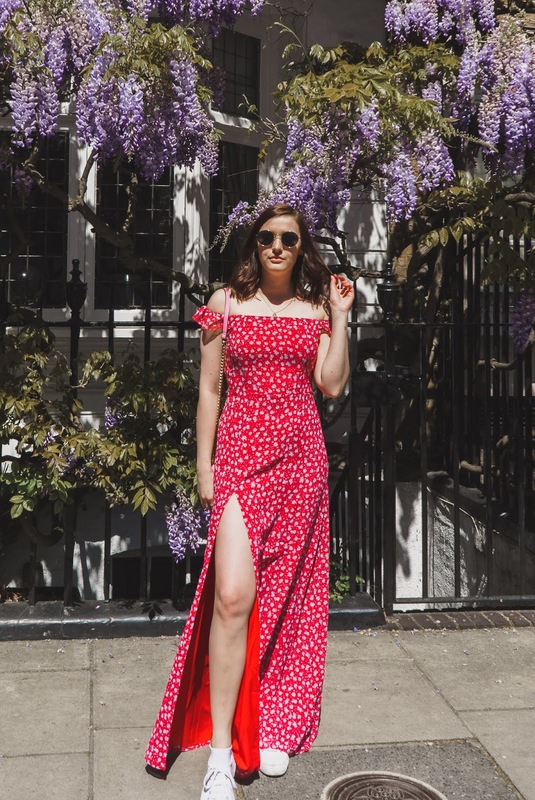 The print and red colour of the off-shoulder Tobi split maxi dress in outfit one are pretty. 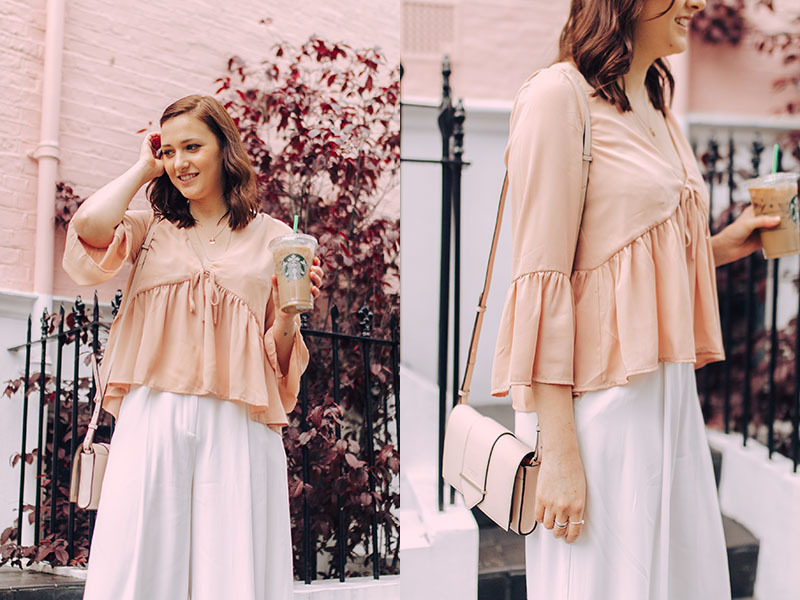 I also love the design and look of the fabric of the Ivana Plunging Blush Blouse you styled in outfit three. 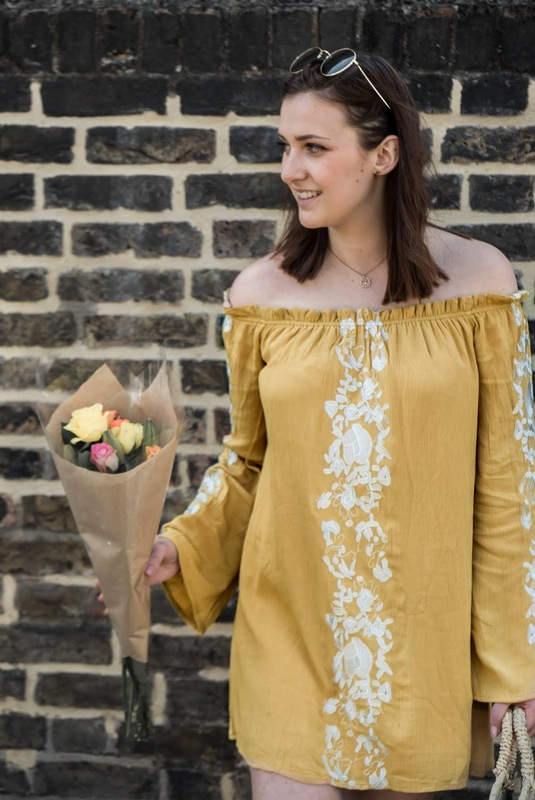 My favourite look, however, is the airy off-shoulder dress you wore in outfit two. You look fabulous in all three outfits.